We've already driven the impressive new Citroen C4 Picasso and now prices and specifications have been revealed for the new MPV which is available to order. The entry-level model - a 1.6 VTi manual - will cost £17,500 on the road while the cheapest diesel will be the 1.6 HDi with 90PS priced at £18,195. Of course these are manufacturer recommended prices and Citroen is famous for its discounts so the chances of getting a healthy sum knocked off are high. 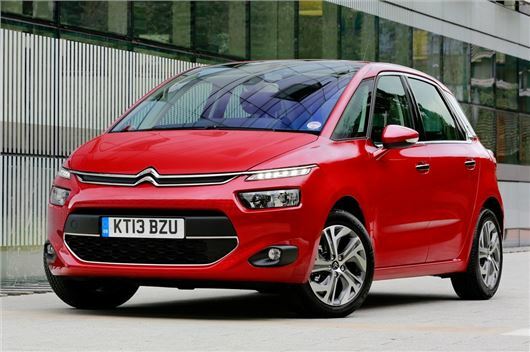 That said, this C4 Picasso is a huge improvement on the current model, particularly in terms of quality and handling. It's also lighter than before which, along with better aerodynamics, means improvements in fuel economy. The 1.6 e-HDi model emits just 98g/km with fuel consumption of 74.3mpg according to the official figures. All models use a 1.6-litre engine with the top versions getting a turbocharged THP which develops 155PS. There are four trim levels for the C4 Picasso - VTR, VTR+, Exclusive and Exclusive+. Standard equipment is good with even entry level cars getting dual zone air conditioning, an electric parking brake, front and lateral curtain airbags, stability control, daytime LEDs, 16-inch alloy wheels, a panoramic windscreen, cruise control, three separate full size rear seats and a seven-inch Touch Drive Interface which controls all the main vehicle functions. More details on the exact specification can be found here.